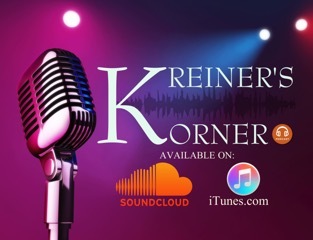 Jeff Fager, executive producer of CBS’s 60 Minutes for the past 14 years, talks about the show in the latest podcast on Kreiner’s Korner. Jeff Kreiner, former VP and creative director at both CBS and NBC, and the author of two books, is now sitting down with television leaders and recording conversations as podcasts that can be heard on iTunes and Soundcloud for free. I’ve known Jeff for years from when he worked with Dan Rather, then the evening news anchor at CBS. Jeff is one of the most likable people you’ll meet in the business. Fager joins a long list of legendary TV leaders who have conversed with Kreiner in a one-on-one setting to discuss their careers, accomplishments and dish some behind-the-scenes stories. Among those who have sat down in fromt of Kreiner’s mic are Van Gordon Sauter, former president of CBS News; Sean McManus, CBS Sports chairman; Neal Shapiro, former president of NBC News; Kenny Lawrence, former local TV marketing executive and current general manager of WJHL; Scott Jones, editor of FTVLive; and yours truly. Below are the links to each. Happy listening!